I read this article and found it very interesting, thought it might be something for you. 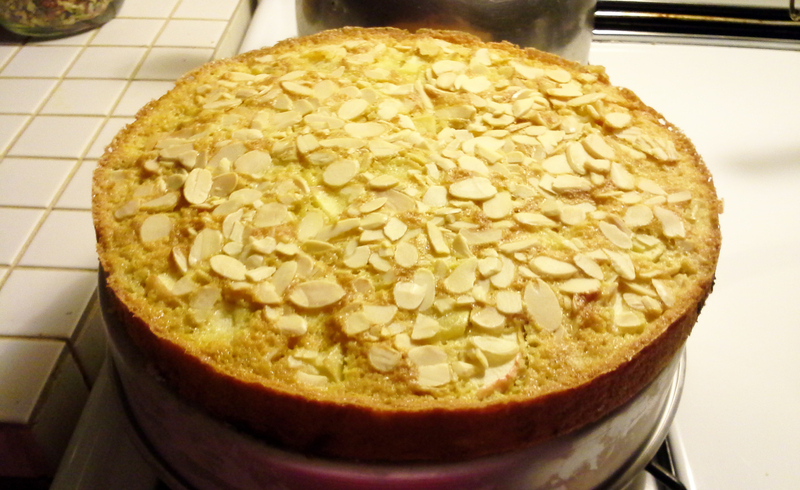 The article is called Fall Fruit and Almond Cake (recipe) and is located at https://www.chickencoopguides.com/fall-fruit-almond-cake-recipe/. When Mrs. White makes something she is particularly proud of, I like to share it with people I know. Since I know many of you here not only raise chickens, going forward I will also share things that are not purely chicken related here on this blog. If you’re looking for a way to connect this to chickens, it has eggs in the recipe! She is going to experiment with changing this to a gluten free recipe by making it with coconut flour next time. I’ll keep you posted as to how that goes. Preheat oven to 350ºF. Dump the fruit on a paper towel and set aside until you’re ready. 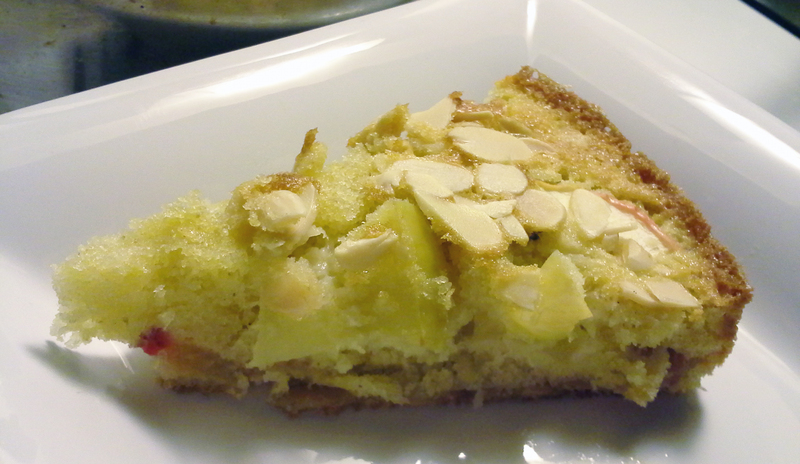 In a large shallow bowl, mix together the flour, salt, baking powder, and ½ c. of the almonds. Make a well inside the bowl and cream the butter and sugar together with the back of a spoon until combined. Add the eggs one at a time to the butter and sugar until combined well. Add the extracts to the milk in a measuring cup. Slowly stir in half the flour, add half the milk, stirring together. Then work in the remaining flour and lastly the remaining milk until all is combined. Hey, you only used one bowl and a measuring cup! Spray a cake pan (I used a 10” round one. You can also use a 9×13 rectangular pan) and dust lightly with flour. I like to use Trader Joe’s coconut oil in a can to spray my pans with. It doesn’t have too many weird things in it. Pour half the batter in the bottom of the pan. Sprinkle your fruit evenly on top of this layer, then cover with the remaining batter. You may need to smooth it over the fruit in some places with a spoon. Once it’s all mostly covered, sprinkle the top with the remaining almonds and bake for 25-35 minutes depending on how deep your cake pan is. Test for doneness when the edges are browned and start to pull away from the pan. To test, poke a toothpick or a fork into the center. If it comes out clean your cake is done. Let it cool a little, then flip out onto a plate (make sure the almond side somehow settles upright) and drizzle a tiny bit of honey on top. Slice and serve while still warm. Makes a lot. Great for having with a cup of tea with a friend or five. My wife also made a great plum jam with a lot of our plums this year. I’ll be sharing that next week after she writes up the recipe. If you have a recipe you’d like to share, please don’t hesitate to send it to me in an email.